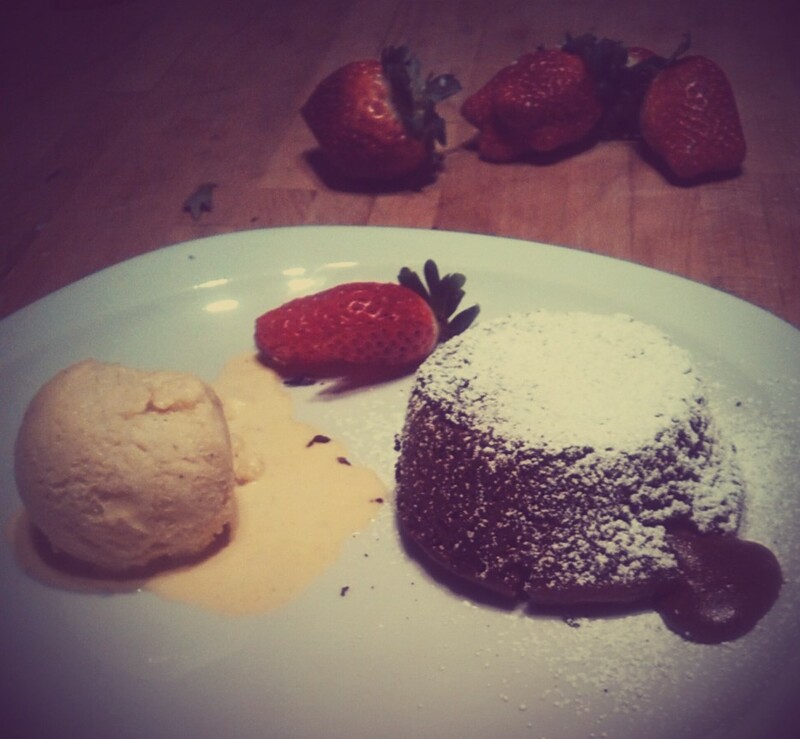 Recipe of The Week – Chocolate Fondant with Vanilla Cream! Here at Mountain Mavericks we pride ourselves on the tastiest menus in our chalets and see no reason why we can’t let you try some of them at home after your stay with us! This week we have the beautiful Chocolate Fondant with Vanilla Cream. Why don’t you give it a go and don’t forget you can always #MountainMavericksROTW and let us see the results across facebook, twitter and instagram! This makes 9 tasty Fondants so make sure you adjust accordingly, or just save some up for seconds! 1- Using upward strokes, heavily brush the melted butter all over the inside of 9 150ml pudding moulds. Place them into the fridge or freezer. Once they are chilled brush some more melted butter over the chilled butter, then add a good spoonful of cocoa powder into the mould. Tip the mould so the powder completely coats the butter. Tap out any excess cocoa. 3- In another bowl whisk the eggs and yolks together with the sugar until thick and the whisk leaves a trail. Sift the flour into the eggs and beat together. 4- Pour the melted chocolate into the egg mixture in thirds beating well between each addition until all the chocolate is added and the mixture is completely combined to a loose cake batter. 5- Tip the fondant into a jug, and evenly divide between the moulds (making sure you spill some that you have to try…). Chill for a minimum of 20 minutes and up to 24 hours. 7- Place the fondants on a baking tray and cook for 10-12 minutes until the tops have formed a crust and they are starting to come away from the side of their moulds. Remove them from the oven and let them sit for 1 minute before turning out. 8- Loosen the fondants by moving the tops very gently so they come away from the sides, easing them out of the moulds. Tip each one slightly into your hand so you are sure it has come away, then tip back into the mould, now put a plate on top and turn it over. 9- Serve to your lucky friends with vanilla ice cream! Make sure you keep up to date with our recipes of the week and keep on showing us your results using #MountainMavericksROTW. Previous: Snow Camp 2014 – Team Mountain Mavericks, full report!